In July 2014, Malaysian Airlines Flight 17 went down over eastern Ukraine, killing all 298 people on board. In October 2015, Russian passenger plane KGL9268 plummeted to the earth over the Sinai Peninsula, killing all 224 passengers and crew. In November, a Russian warplane flying along the Syria-Turkey border fell from the sky. The world was shocked by these events as it soon became evident that all three planes had been intentionally destroyed. Two were shot down, and one was bombed. What makes these situations even worse was the blame game that ensued, deeply affecting international relations. No one has admitted to shooting down Flight 17. Multiple militant organizations have claimed responsibility for the downing of Flight 9268. Both Russia and Turkey insist that the other is at fault for the warplane’s demise. In this region of the world, the mysterious destruction of aircraft is not an entirely new occurrence. On December 14, 1965 another aircraft went missing and to this day there remains speculation about its fate. The plane in question was an American RB-57, a highly specialized military aircraft designed specifically for reconnaissance missions. The plane had departed from a base in Incirlik, Turkey and was engaged in a routine training flight. After failing to return from its exercise, the United States Air Force launched search operations. According to a document dated December 15, 1965, wreckage from the missing RB-57 was sighted in the Black Sea, 90 miles from the Soviet Union. As the plane had not violated the Soviet border, officials did not assume Soviet involvement in the incident. 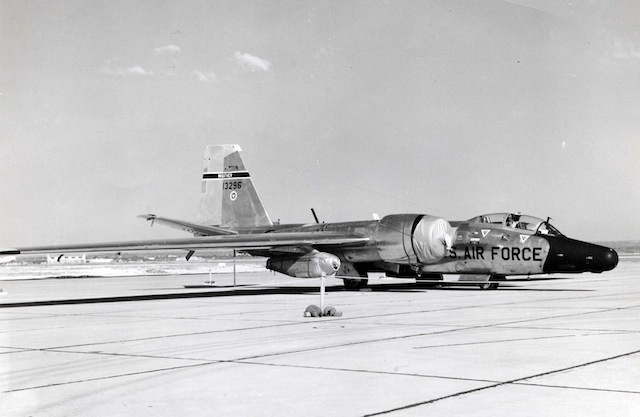 RB-57F Rivet Chip 63-13296 of the 58th Weather Reconnaissance Squadron at Webb AFB, Texas on 8 March 1965. Via Wikipedia. A Turkish newspaper caught on to the story, but boldly claimed that the American plane was likely to have been shot down by Russian aircraft. Moreover, the story asserted that Russians captured the pilots. Other documents in the government file, however, dispute this claim. A telegram from the day after the incident states, “Early reports (now discounted) indicated the possibility of Soviet fire responsible.” Until nine days later, most people interested in the case were satisfied that the plane had simply crashed. During the same meeting Kuznetsov clarifies that he was not discussing an act of border violation, but the issue of reconnaissance flights against the Soviet Union. He then refuses to give further information other than the official statement. 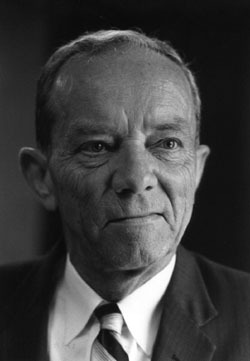 Ambassador Kohler concludes the report with his own assertion: “Kuznetsov’s careful statement and refusal to be drawn beyond its text leads me to suspect that RB-57 was downed in some fashion by Soviet action over international waters, and that [the] Soviet government believes that we are equally aware of circumstances surrounding [the] incident.” This document is dated December 24, 1965. Merry Christmas indeed. It is up to the reader to interpret these governmental interactions, but it must be said that regardless of the circumstances, the official statement given by the Soviet Union leaves much to be desired. It is possible the Minister Kuznetsov was bluffing, intentionally provoking the Americans who wanted answers. Conversely, it is possible that Kuznetsov’s statement, without blatantly lying, confirmed that the Soviets were involved. Even fifty years later, there are still many missing pieces to this puzzle, and it seems likely that the corresponding government file still has omitted documents of the incident. Still, the seemingly deliberate lack of information surrounding missing aircraft in this part of the world – be it military or civilian passenger planes – is disturbing. Box 229, Folder USSR RB-57 Incident. National Security File. Papers of Lyndon Baines Johnson. The Lyndon Baines Johnson Library, The University of Texas at Austin, Texas. 18 Sept. 2015.